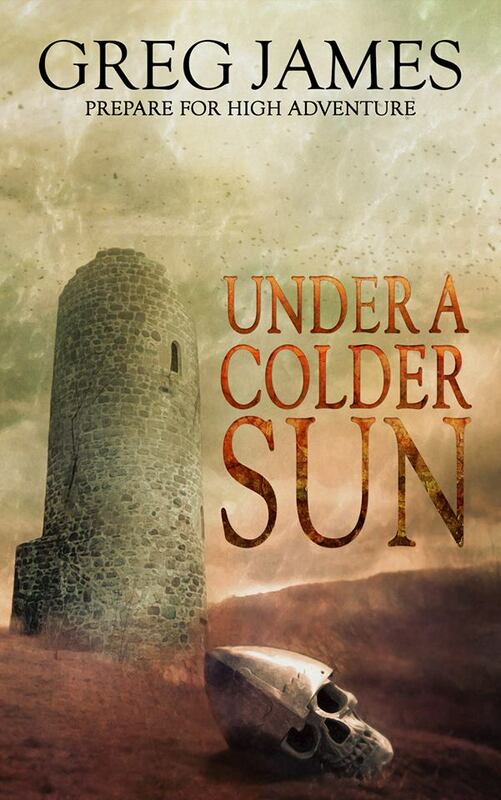 Under a Colder Sun is the fourth book I’ve enjoyed by Greg James (London), and there’s a reason I keep coming back for more: his mind is a crazy place, and I love walking around in there. As a writer of #fantasylit, this “crazy place” works well for him . . . and for his readers. The eBook will officially be released on August 28.. The print book is currently available for purchase at Amazon. Under a Colder Sun speaks of a man who defies death, a woman who defies her father, and a king who defies his kingdom. Of particular interest is the first, Khale the Wanderer, who is both distasteful and heroic; hideous and handsome. I despised him, adored him, and mourned for his soul. So seamlessly tiered was this character, I literally fell into his heart, for better or for worse. Our woman warrior Leste is equally multidimensional but in different ways . . . I will say no more for fear of giving away the cow. Better than all this are the plot line (solid, smooth, and intense) and descriptions of the lay of the land (I could smell, see, and breathe the desolate domain . . . WOW). With enough chit-chat and sharing, I can easily see this #mythicfiction book being the impetus for much literary success for the young Greg James. Oh, and he’s quite the comic as well: Get to know him on Facebook under his release page for Under a Colder Sun, where he has all sorts of nutty stuff going on.